Prehistoric men fighting a bear. 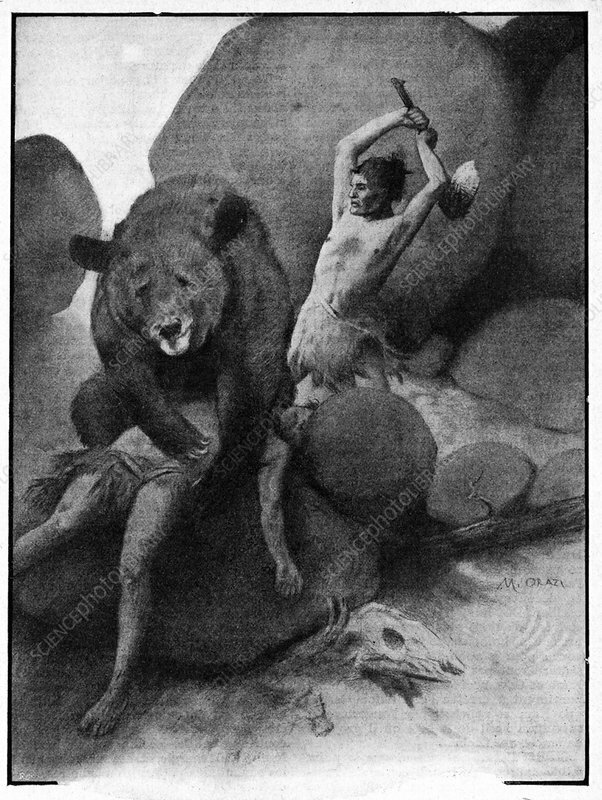 Historical illustration of a prehistoric man fighting a bear that is sitting on the body if another man it has killed. Image from 'Quest for Fire', by J H Rosny, published in Je Sais Tout magazine, France, October 1909.